Start with Why by Simon Sinek has inspired my husband. Have you read it? I cannot wait to get started with this book. When he reads he keeps a log of his favorite quotes to look back and he shares some with me. Yesterday I wasn’t really feeling inspired for cooking, I didn’t know what I wanted to have for breakfast. I tried to make coconut pancakes but those were an epic fail. I cannot believe how crumbly coconut flour gets when cooked, but that’s for another post. 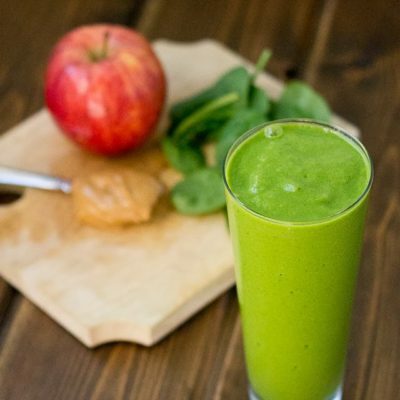 One quote from the book that he repeats a lot is “People don’t buy what you do; they buy why you do it.” It’s like apples and peanut butter, they were made for each other and it’s the why that influenced my breakfast smoothie. Eric will put up a fight about drinking the green juice (not really but I’ll often find a full green smoothie, wasted). I think he just can’t get past the color. But when I told him “It’s Apples & Peanut Butter he guzzled it up before he even had time to ask if I added spinach 😉 He knows me too well. Here’s the recipe: it’s quick, colorful and delicious. Enjoy! 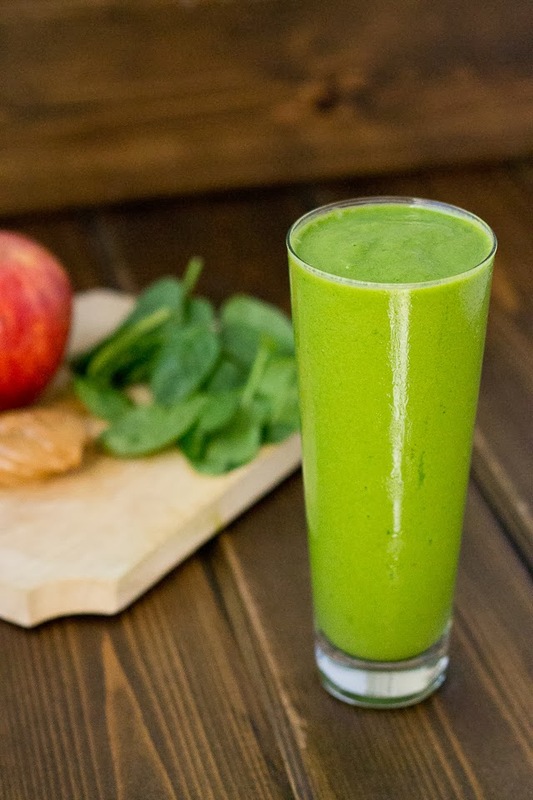 This green smoothie is sweet, refreshing and tastes like apples and peanut butter — in a glass! Place all ingredients in a high powered blender and pulse until smooth. I love the idea of getting a kick of protein from the peanut butter! 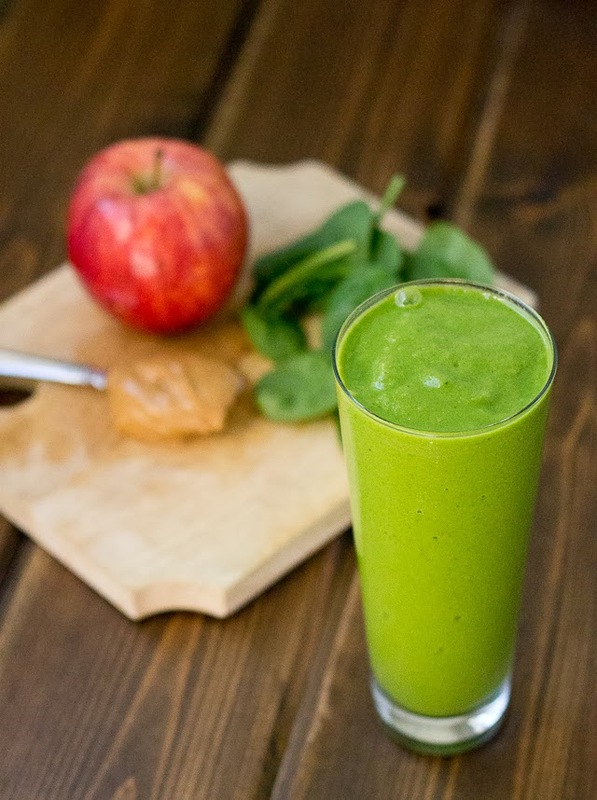 Apples and peanut butter are a favorite here, so I need to try this. 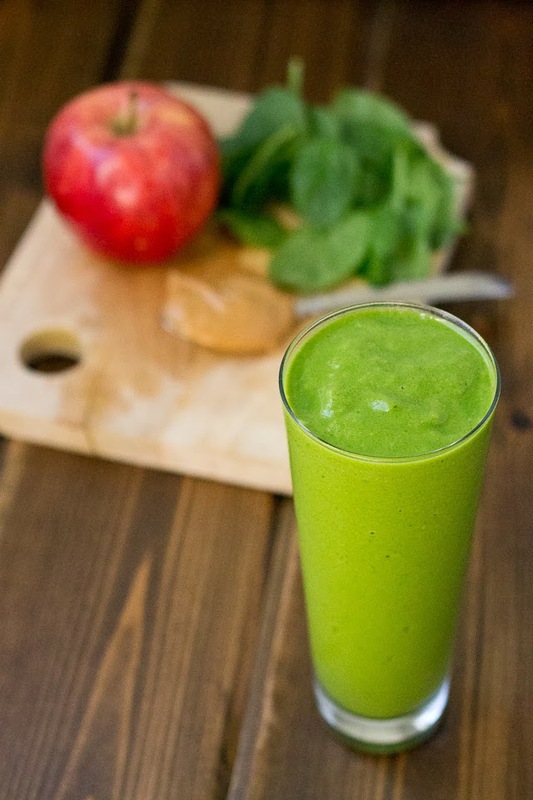 Love the smoothie and love that you're trying out Crossfit! I was so not into it at first; I think mostly because of the hype… but I'm enjoying the accountability and balance that it's bringing to my workouts. I love the combination of apple and peanut butter – I just had it at lunch today in fact! After reading about cross fit on soooo many blogs, I really want to give it a try but have been too intimidated. Can't wait to hear how it goes for you! I really like the gym we are going to because they are super interested in helping their clients succeed. It's really motivating and the environment has been supportive. I can definitely understand where you are coming from though…especially because some of the workouts seem scary.. haha! You'll love CrossFit! It's all scalable and customizable. 🙂 Glad to hear that you are on the CabotFit team! Looking forward to training, meeting, and getting to know you more! Haha. I'm so don't feel super intense. I just know I need balance and accountability with weight training. Thanks for pinning Krista!